While I’m confessing recent sins of omission, I should admit that my recent posting “Bumping Into Old Friends” was supposed to ease into a discussion of Arktiles Bump, one of my favorite minor characters in the little slice of history I’ve been specializing in. By the time I was about to get around to Arktiles, the page already exceeded a thousand words, and when they go much past a thousand, even I’m reluctant to read them. Thanks to his distant relatives I think I have a clearer picture of Ark Bump in my mind’s eye than I do of some of the major players in this story. 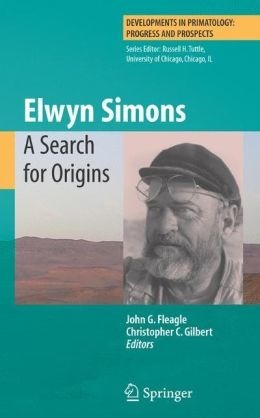 A retired Duke University professor named Elwyn Simons rang me up one sunny Sunday afternoon to talk about Ark's family history, and only much later did I realize that my source of information is an internationally-known figure in the field of primate biology. That is to say, he studies family history on a much broader scope than the rest of us do. I had left a message with a fellow subscriber on Ancestry.com, asking her how I could get copies of the letters Ark Bump wrote to his sister Margaret in 1866. The result was a very pleasant chat with Dr. Simons, who shared stories about Ark’s parents, Philander Bump and Phoebe Upper Bump, while I told him what I had learned about the incident in Cloud County that put a sudden and violent end to Ark Bump’s resetless wanderings. The version of the tale that was handed down among members of the Bump family had a neighbor of Ark’s with an unsavory reputation trying to borrow money from him. After being turned down for the loan and sent on his way, the man waylaid Ark and robbed him, attempting to pin the blame for the crime on Indians who had attacked the settlement a few weeks earlier. Dr. Simons also sent me copies of Ark’s letters, which are full of interesting family tidbits, details about his travels, the names of old friends he unexpectedly encountered, and some amusingly eccentric spellings. At the end of one letter he tells his sister “If you can read this letter you can beet me.” Having struggled through sentences such as “tell re Dant I saw Luke in Buffalo and he told me that hadant past yet he thought it would,” I imagine that Margaret Brooks had me “beet” too. It was four years ago when I talked with Dr. Simons. Last month Dave Lovewell sent me clippings from an old copy of the Wichita Beacon concerning a juvenile prank from the 1890’s. 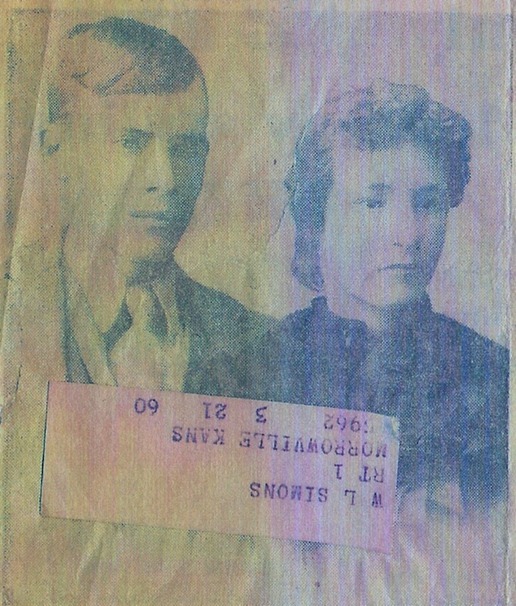 The story contained a picture of one of the culprits, young William Frank Lovewell, posing with an unnamed girl friend, their picture partly obscured by a mailing label. Turning the picture upside-down I tried to remember why that surname seemed so familiar. I emailed Dave and found out that W. L. Simons was the father-in-law of Stephen Lovewell’s daughter Miriam. Then I remembered Dr. Simons telling me that he was born in Kansas and still had family living here. I haven’t delved into his family tree to see if he’s related to the Simons family from Morrowville, which is less than 30 miles from Clifton, but being a relative of Arktiles Bump, the man who kept running into friends and family wherever he went, I figure he has to be. When I asked to see the Ark Bump letters, I hoped he had written one after arriving in Jewell County in 1866, telling his sister that he had run into one more “soalgier” from his past, one of the Lovewell brothers he had served with at Fort Humboldt. Unfortunately, either he stopped writing after fleeing from his father’s place at Princeville, Illinois, or what he wrote had no bearing on his own family and was tossed. Ironically, we have two letters from him that were undoubtedly saved for their sentimental value after Ark Bump, a Kansas pioneer in his twenties, was killed instantly by a shotgun blast to the throat. Like a lot of the history that we study, the story of Arktiles Bump is preserved for us only because the final chapter is written in blood.